It's time to enjoy healthier, better tasting, better textured, better looking gluten-free bread. 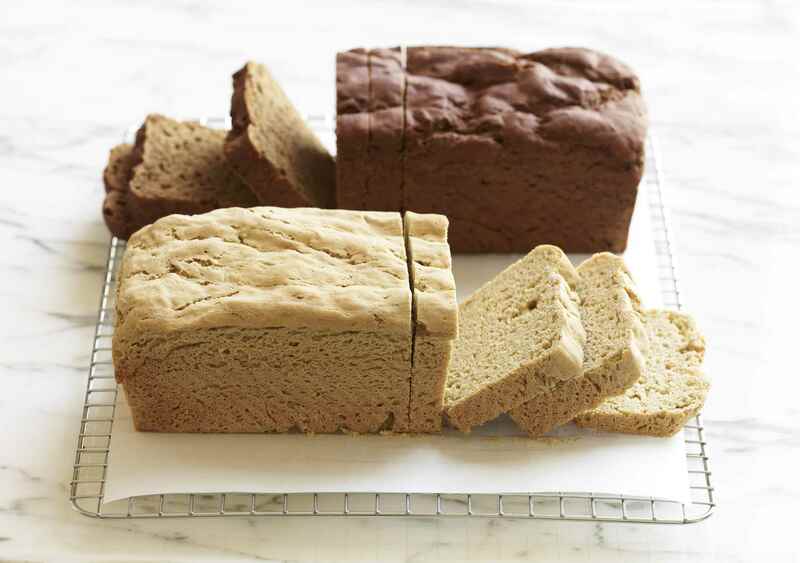 Try our new gluten-free bread recipes and find tips and techniques designed to help you bake better gluten-free bread. No one likes flavorless, crumbly, unappetizing looking gluten-free bread! Gluten-free cooks have to use a blend of gluten-free flours that require special coaxing to create tasty, moist and "normal" looking bread. There are several easy tips for making better gluten-free bread. Our latest gluten-free bread recipe has terrific springiness, yeasty flavor and is neither too dry or too gummy. Another benefit to this delicious recipe is that it calls for simple ingredients that are easy to find. Gluten-free walnut rosemary bread recipe reminds me of the artisan style breads I used to make out of wheat. The flavor of nuts and fragrant herbs in an olive oil-crusted slice of bread is good gluten-free eating. Like the recipe for gluten-free caraway seed bread, this bread is baked in a preheated lidded baking pan. An enameled 2 - 2 1/2 quart lidded pan is ideal for making this recipe but I have used ceramic and glass lidded ovenproof baking dishes with very good results. This gluten-free high protein breakfast bread recipe is also free of dairy, corn and soy, making it a good bread choice for people with multiple food intolerances. It is made from a high protein gluten free flour blend and is slightly sweet. Great for making toast or French toast. Gluten-free Irish soda bread recipe is also dairy-free, a choice gluten-free bread choice for people on gluten and dairy-free diets, sometimes called the GFCF diet. This recipe is adapted from a recipe by Connie Sarros, "Leprechaun Bread" which appears in her cookbook, Wheat-Free, Gluten-Free, Reduced-Calorie Cookbook. This recipe makes a light, classic loaf of Irish Soda Bread with terrific flavor and texture.